Since their abject capitulation to the Pacific Solution, Labor has pulled out all stops to demonstrate just how committed they are to punishing refugees. Pallets of batons and shields have been sent to Christmas Island in anticipation of the forced removal of asylum seekers. Over 1000 who have arrived by boat since August 13, including unaccompanied minors and families with children, wait anxiously on Christmas Island and in Darwin, fearing they will be the first sent to rot in the tents the Army is now hurriedly constructing amidst the dilapidated ruins of the Howard-era camp on Nauru. A journalist on site, Dylan Welch, likened the tents, which will sleep between five and sixteen on stretchers with no air-conditioning in the equatorial heat, to those in “African refugee camps”. Chris Bowen wants 500 detained there by the end of September, and a 1500 person capacity as soon as possible. But there are problems. Of the two camps on Nauru, “Topside” is overgrown, has no water supply or waste water treatment capacity, is located across the road from a rock quarry and a few hundred metres from Nauru’s only rubbish tip. It is one of the hottest places on the island and home to huge rats. But this is where tents and pit toilets are being built for the first victims of Gillard’s Pacific Solution. 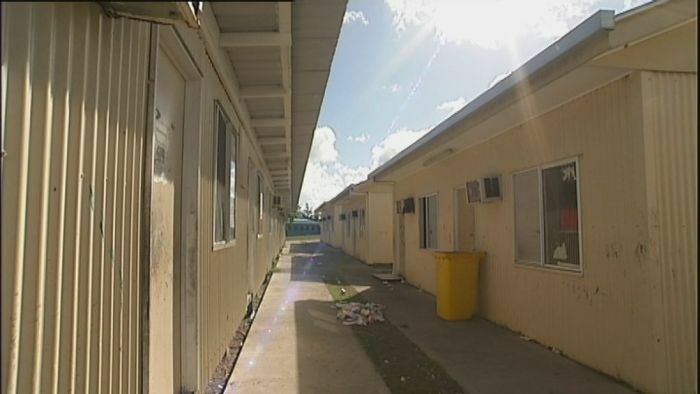 The other camp, “State House”, is being used as a primary school, a women’s shelter and offices for several Nauru government agencies—and it seems the Nauru government has ruled out its use as a detention centre. Nauru and PNG’s governments have asked that detainees be processed “quickly” and Gillard has said they will be. But Immigration Minister Chris Bowen was quick to point out: “there’s processing, and then there’s resettlement,” meaning that Labor is still committed to forcing even recognised refugees to stay as long as they would wait for resettlement from Indonesia or Malaysia (the so-called “no advantage” outlined by the expert panel). Thankfully, the proposal to use Manus Island in Papua New Guinea has met with opposition. Port Moresby Governor, Powes Parkop, says, “There’s no law in PNG that allows people to be detained without being charged,” and that he will go to PNG’s High Court to stop the use of the centre. There has been resistance too among asylum seekers slated for removal to Nauru. Around 100 people on Christmas Island began a hunger strike after they were told they would be sent to Nauru. In an effort to end the hunger strike, Immigration officials told the outright lie that the United Nations High Commission for Refugees (UNHCR) would process the asylum seekers’ claims, although the UNHCR has said it will not have anything to do with administering the new Pacific Solution. Immigration officials also retreated from insisting that any asylum seekers arriving after August 13 would be sent to Nauru; they are now saying that they “might” be sent. Meanwhile, however, the International Organisation for Migration (which has given an in-principle agreement to run Gillard’s Pacific Solution just as they did for Howard) is handing out “Go back to where you came from” forms to pressure refugees to return to where they have fled from. Labor hopes that this ruthlessness will stop the boats and neutralise the pressure over refugees from Abbott. It will do neither. Chris Bowen has accused the asylum seekers who’ve arrived since August 13 of “trying it on”, and talked up the ridiculous notion that “people smugglers are holding a closing down sale” because the government is “shutting down their business model”. But the boats are going to keep coming. Labor may have increased the humanitarian intake to 20,000—a welcome move—but they have only called for an immediate 400 refugees to be resettled from Indonesia. The UNHCR estimates there are 5,429 (as of July this year) asylum seekers and recognised refugees waiting in limbo in Indonesia. Without guaranteed resettlement in Australia, these asylum seekers have no alternative but to get a boat if they are to get the safety and security they need. Capitulating to Abbott has given him the whip hand. He will continue to goad Labor to adopt every aspect of Howard-era cruelty including Temporary Protection Visas (TPVs) and turning back the boats. Now Abbott is proposing a deal with Sri Lanka to send back every asylum seeker. To stop Abbott, we have to stop Gillard.